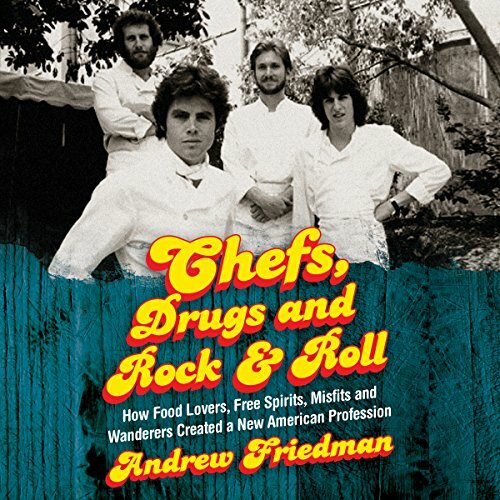 Chefs, Drugs and Rock & Roll transports listeners back in time to witness the remarkable evolution of the American restaurant chef in the 1970s and 1980s. Andrew Friedman goes inside Chez Panisse and other Bay Area restaurants to show how the politically charged backdrop of Berkeley helped spark this new profession; into the historically underrated community of Los Angeles chefs, including a young Wolfgang Puck; and into the clash of cultures between established French chefs in New York City and the American game changers behind the Quilted Giraffe, River Café, and other storied establishments. 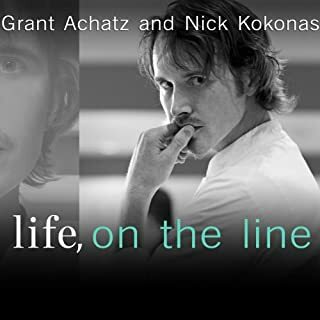 Along the way, the chefs, their struggles, their cliques, and, of course, their restaurants are brought to life in vivid, memorable detail. 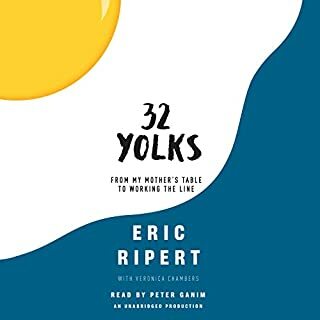 As the '80s unspool, we watch the profession evolve as American masters like Thomas Keller rise, and watch the genesis of a "chef nation" as chefs start crisscrossing the country for work and special events and legendary hangouts like Blue Ribbon become social focal points, all as the industry-altering Food Network shimmers on the horizon. 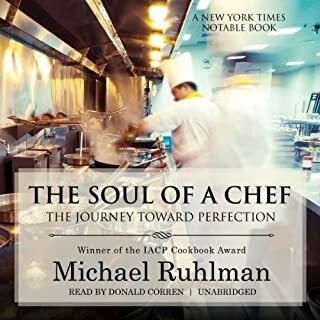 A (mostly) oral history told primarily in the words of the people who lived it - from writers like Ruth Reichl to chefs like Jeremiah Tower and Jonathan Waxman - Chefs, Drugs and Rock & Roll treats listeners to an unparalleled 360-degree re-creation of the industry and the times through the perspectives not only of the pioneering chefs but also of line cooks, front-of-house personnel, investors, and critics who had front-row seats to this extraordinary transformation. What a great trip down memory lane. I was in the kitchen at Michael's, Trumps, and Spago through all of that. It was a madhouse but what an adventure. the only thing I struggled with was the narrator's horrific pronunciations of French culinary terms. Noteworthy are poissionier, cuisinier and garde manger. Loved it nonetheless. 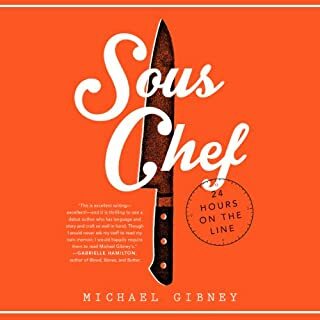 I really enjoy Andrew Friedman's podcast ' Talking with Chefs' and was really looking forward to reading this book. I'm familiar with the territory as I was around and paying attention at the beginning of this food revolution. My problem with the book is not at all with the book itself, as Friedman writes well and uses extensive informative and interesting interviews to tell a great story. The problem is the narration. I realize now that I should have simply ordered a copy or got it from the library as this reader really made it difficult for me to even finish the book. When he's simply narrating the book, no problem. Its when he attempts to use voice to imitate the interviewee. His use of sing-songy voice when portraying the women chefs is beyond annoying - it definitely verges on sexist. And this fellow should be made to do a few French lessons before he tries to actually voice French phrases. He is far afield in his pronunciation of even common French culinary terms. All in all, a great read brought down by an irritating narration. 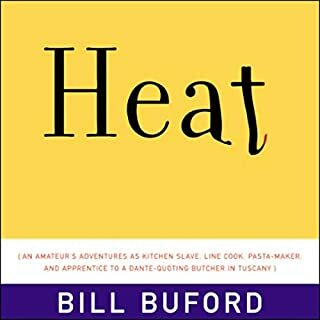 I would recommend this book to anyone interested in food and restaurants and food history. It's very well written, The food scene in LA was very exciting during this time. I was in LA and part of the food, food writing and restaurant industry from the late 70's through the 80's. The book is well researched, but I can think of a couple of LA people that I'm sorry aren't included. 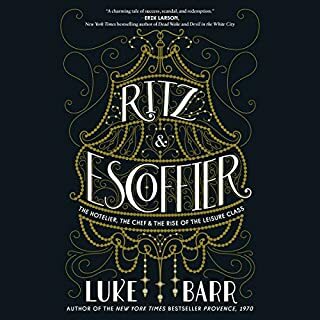 Nevertheless, to read about the evolution of dining and eating as an art and the emergence of chefs as celebrities makes this book a fascinating page turner. What didn’t you like about Roger Wayne’s performance? I wish these narrators would do more research on pronunciation. I cringed every time I heard a person's name or food mispronounced...escpecially the French terms. How hard could it be to do a little checking before you get into the recording booth? No. It's too long, but very fun to listen to. I bought the hard copy and was happy I did, because there are footnotes that are never part of the narration that enhance this author's work. Details that are interesting to the whole story and people involved are missing from the narration because of the lack of footnote narration. The story is interesting, if you care about the subject. There’s a bit of repetition of quotations, close in time, which strikes the listener as odd, because they’re all specifically worded. (Maybe they were too good to use just once?) But otherwise the book takes a nice twisting path through contemporary American restaurant history. The performance is just fine. All of the women’s “voices” are essentially identical and a little whiny. Accents drop out here and there, and some are unidentifiable. Names are sometimes mispronounced. All fine. But the cooking terms and food names are often wrong (e.g., abalone becomes a-beh-lon). This is a book partially about food, and you get the feeling the performer didn’t bother even to look up the words he didn’t know. Some of common English words are also mispronounced—very strange for professional voice work, and somewhat jarring for the listener. In sum, the story is good and the performance passable. I’m not sorry I bought it and spent time on it.